Zondi, S. 2013. South Africa-EU strategic partnership in the context of a changing North-South power dynamics. GREAT Insights, Volume 2, Issue 6. September 2013. 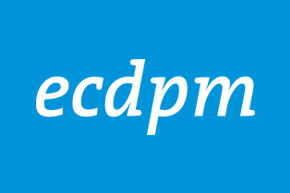 Maastricht: ECDPM. Shifts in global power have led to shift in the meaning of the EU-South Africa partnership, complicating South Africa principle of balancing its dialogue with the north and its growing relations with the south. South Africa’s relationship with the European Union is one of the EU’s most stable and exemplary strategic partnerships. It is built on a long history, stretching over 300 years of imperialism, colonialism and cooperation under globalisation. It is based on a carefully negotiation Trade, Development and Cooperation Agreement of 1999, which laid the basis for a mutually-defined relationship. It escalated over eight years into a strategic partnership. This coincided with shifts in global power, especially with the rise of the global south and Asian economic giants; changes that have impacted on foreign policies of both the EU and South Africa in ways that we are yet to fully understand. The effect of these tectonic shifts in global power on the partnership are less obvious than what is thought, but are significant enough that they need to be factored into the process of establishing a full partnership between South Africa and the EU. “ We are determined to find practical ways in which to increase mutually beneficial cooperation among the countries of the South, in all spheres of human activity and informed by a spirit of solidarity, shared interests and a common destiny. At the same time, we seek closer cooperation with the countries of the North, on the basis of respect for the sovereignty of all countries, equality among the nations ad mutually beneficial cooperation.”(1)On this basis, South Africa sees its relations with the EU as crucial for resource flows and as platforms through which South Africa seeks to influence what remains the centre of the Euro-American dominated world system. It has been enthusiastic about also representing the interests of the smaller African and south countries in its special dialogues with the EU. This latter point makes the rethinking of the balancing act in South Africa foreign policy calculus important as well as the urgent need to strengthen of the EU-SA partnership. In line with Mandela’s undertaking in 1993 that the new South Africa would seek ways of enhancing relations with the European Community “with a view to gaining preferential access to European markets (2)successive governments from 1994 pursued stronger relations with the European Union with a particular emphasis on trade, investment and development cooperation. As a result, notwithstanding changing patterns in South Africa’s foreign trade relations, the EU remains South Africa’s largest trade partner, the main foreign investor and the biggest source of development assistance (3)The signing in 1999 of the Trade, Development and Cooperation Agreement between the EU and South Africa set off a period of growth in trade, investment and development cooperation. The EU-South Africa Strategic Partnership launched in 2007 represented an escalation of relations, recognising the value derived for eight years of success. The high-level dialogues have provided a crucial opportunity for the two to manage their deep political differences, especially over neo-colonial tendencies as in the French-led intervention in Côte d’Ivoire and Libya, and the EU’s divide- and-rule approach to negotiations with African countries on Economic Partnership Agreements. In this way, the two parties get to maintain and enhance their warm economic relations, notwithstanding the heat over the historical baggage in the political relations between former colonial powers and former colonies. There is a mutual self-interest in improving trade, given the EU’s financial crisis and South Africa’s triple challenge of poverty, unemployment and inequality. One subject that is generating a bit of heat on the agenda of the dialogue right now is the EU intention to reset the relations because it views South Africa as a middle-income country due for reduced development assistance and a hike on trade and investment relations. Coached in the language of “departing from history”, “breaking with the nanny behaviour” or “aid as paternalism”, this move masks the sense that the EU still sees it as its responsibility to define the stature of its partners, decide what they deserve in the relationship and define the nature of new relations. The EU initiates and the partner responds. While this reflects failure on the part of emerging powers to initiate the redefinition of relations, it still does not sit down well with them, receiving it as a benign form of paternalism. The sense that the EU comes to the table with its mind made up is a common suspicion in relations with both small and big south countries. The EU decided that South Africa is a high middle-income country as if this “middle-income countries” doctrine is universally acceptable; whether South Africa sees itself in similar terms seems not to have been discussed. The power to define the other can be seen as hegemonic in nature for it casts the other as an object in the process. Over 300 years of separate development between mainly white and mainly black parts of the population, a process in which European countries abetted, led to a country of two nations: one middle-income and the other under-developed. Therefore, the EU policy might as well factor this in the negotiations and remains open to agreeing with South Africa on joint targeted assistance for the under-developed nation, while leaving the more developed one to its own devices. The aid flows are not the real issue here – although NGOs that receive the bulk external aid are really worried – but the issue is essentially about defining power dynamics in the hope of building equal partnership. It seems, from what one can glean from the high-level dialogues in the past three years, that there is growing understanding of how to manage the impending end of development assistance. South Africa is maturing in subjecting its concerns to dialogue rather than public criticism. The EU seems to also understand that there is going to be a need for some significant aid flowing into a part of South Africa for a while, until the political economy of South Africa is decolonised fully. This is historical responsibility it cannot shirk in the name of “new” partnership models. As a result, the last three ministerial dialogues have resulted in statements to the effect that despite its middle income status, South Africa will continue to need EU support to promote social inclusion, skills development, improved education, technological innovation and institutional capacity in order to enable it to become fully self-reliant (4)The July 2013 SA-EU Summit concentrated on how the combination of trade and aid could enable South Africa to promote economic growth, job creation and skills development, while enabling the EU to expand trade and investment opportunities in South Africa and Africa (5)The challenge going forward is how the two parties can move beyond managing the deep-seated tensions inherent in the change of power relations, a hoped-for shift from paternalistic partnership towards an equal partnership. On the one side, whatever undertakings Baroness Catherine Ashton makes on behalf of the EU in the dialogue must be treated with caution as foreign policy decisions still rest with EU member states, which may very well proceed as originally planned. On the other side, heading to general elections in 2014 the South African government may not be that incentivised to make major compromises in the high-level dialogue. The EU handling of the Economic Partnership Agreements negotiations and the restrictions on citrus imports from South Africa as part of the growing protectionism in the EU, will conspire with unclear links between national and regional interests in South Africa’s foreign policy towards the EU to make the process of decolonising the partnership a little more complex. 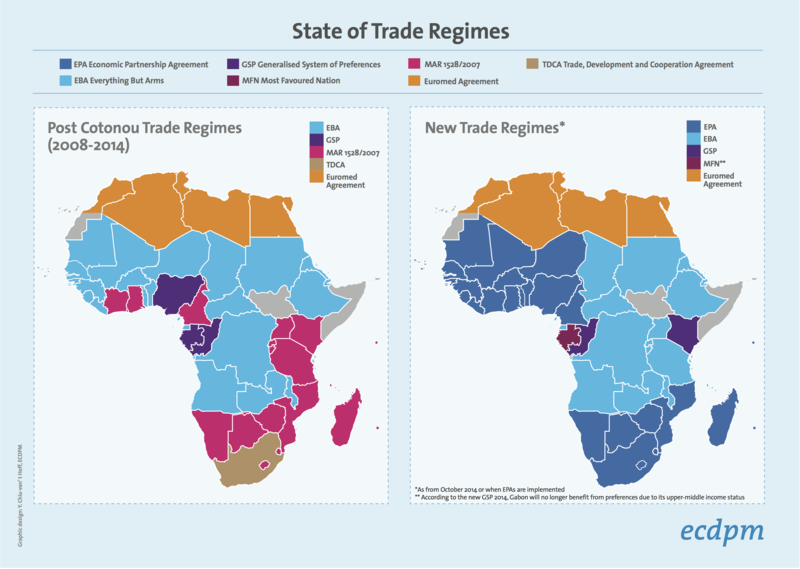 The redefinition of the partnership between the EU and its former colonies – ACP Countries – after the end of the Cotonou Agreement in 2020 has a bearing on the SA-EU dialogues and the outcomes of the difficult EPAs negotiations will have a bearing on the hope for a partnership between the EU and ACP others. These developments ought to be paramount in SA-EU dialogue as they have a bearing on its success in the long run. Assertive foreign policy on either sides should actually be harnessed for historically-honest and forward-looking negotiations, leading to a truly mutually beneficial long-term relationship. 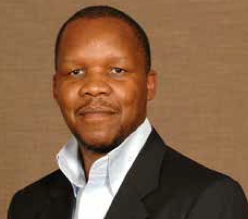 Dr. Siphamandla Zondi is director of the Institute for Global Dialogue, a foreign policy think tank based in South Africa, and an honorary professor of politics at University of South Africa. This opinion piece draws from his on-going research on EU-Africa/SA relations in the context of global power shifts. In June 2013, he conducted fieldwork to the EU institutions in Brussels, Belgium, generously funded by the Friedrich Ebert Stiftung. Speech of the President of the Republic of South Africa, Nelson Mandela, at the Closing Session of the Summit Meeting of Heads of State and Government of the Countries of the Non-Aligned Movement. Durban, September 3, 1998. Available at http://www.polity.org.za/polity/govdocs/speeches/1998/sp0903.html (accessed on 2 September 2008). ‘South Africa’s Future Foreign Policy’, http://www.sahistory.org.za/article/insights-mandela039s-reign (accessed on 2 March 2008). ‘Zuma attends SA-EU summit’. Available at http://www.sanews.gov.za/south-africa/zuma-attends-sa-eu-summit (accessed on 2 July 2013). See, for instance, the ‘Joint Press Statement by EU HR Ashton and South African Minister Maite Nkoana Mashabane at Ministerial Political Dialogue’. Available at http://www.eu-un.europa.eu/articles/en/article_13621_en.htm (accessed on 31 June 2013).